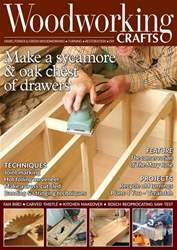 In our October issue the main article is a veneered memory box by designer maker Chris Tribe, there is a hexagonal planter to test your routing skills, if you fancy some carving try Duane Cartright’s Koi carp project. Louise Biggs tackles a tricky coffee table repair and Michael T Collins takes his turn creating a wooden wheel. 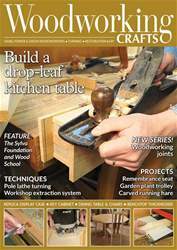 Learn all about Japanese pullsaws in our primer, the different kinds of softwood and making lattice parquetry. 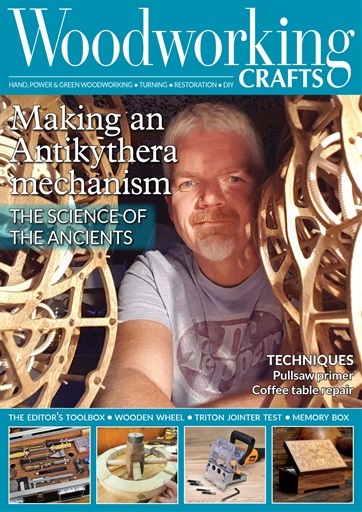 The Editor finally finishes his special toolbox project and our main feature is about the man who has created his own version of the ancient Antikythera mechanism, all done on a scrollsaw! 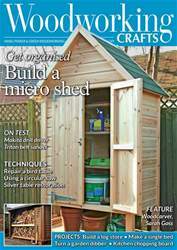 There is plenty more for you to read but for that you will have to buy a copy and enjoy all things woodworking.